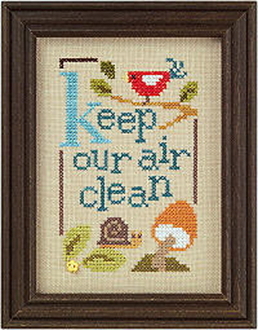 An adorable design with an environment-friendly saying, "Keep Our Air Clean". Part of Lizzie Kate's Green Flip-It series. Chart includes a buttery-yellow flower button.